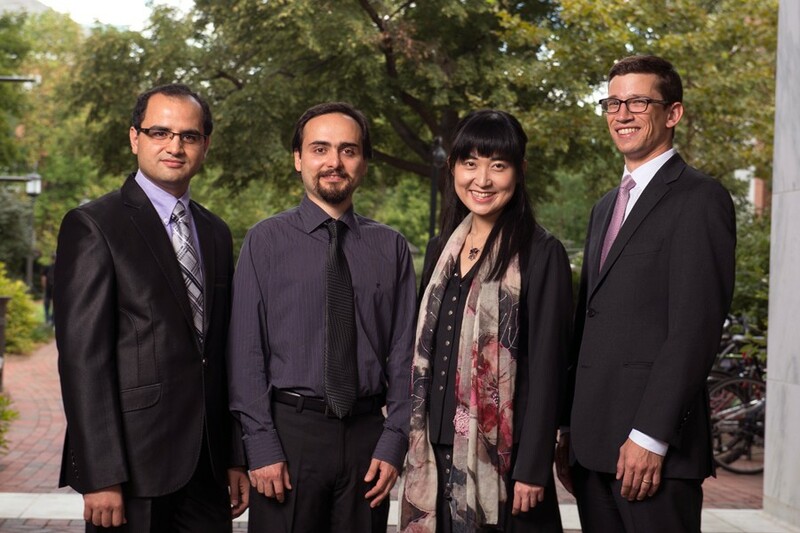 Five Johns Hopkins graduate students, recently named to the 2015 class of Siebel Scholars, are each pursuing important research projects in varied bioengineering topics involving promising health-related applications. In recognition of their research skills, academic achievements, and leadership qualities, the merit-based Siebel program provides $35,000 to each of the five PhD candidates for use in his or her final year of graduate studies. The Siebel Scholars program was founded in 2000 by the Siebel Foundation to recognize the most talented students at the world's leading graduate schools in business, computer science, and bioengineering. Today, more than 950 Siebel Scholars are active in the program, which seeks to nurture leadership, academic achievement, and the collaborative search for solutions to the world's most pressing problems. The 2015 Johns Hopkins recipients are among 83 students selected from prominent graduate schools in the United States and China, including Harvard, Princeton, MIT, Stanford, University of Chicago, Carnegie Mellon, UC Berkeley, UC San Diego, University of Illinois, Northwestern, and Tsinghua. At Johns Hopkins, the Siebel Scholars program supports graduate students in bioengineering studies. Three of this year's recipients are pursuing their doctoral degrees within the university's Department of Biomedical Engineering, which is shared by theSchool of Medicine and the Whiting School of Engineering. The fourth is working toward a doctorate within the Whiting School's Department of Mechanical Engineering, and the fifth is pursuing a PhD in the Whiting School'sDepartment of Computer Science. Siebel Scholars are chosen by the deans of their respective schools on the basis of outstanding academic achievement and demonstrated leadership. On average, Siebel Scholars rank in the top 5 percent of their class, many within the top 1 percent. "We are honored that the Siebel Foundation has identified our bioengineering program as one of the best," said Ed Schlesinger, the Benjamin T. Rome Dean of the Whiting School. "The Siebel Scholars program emphasizes entrepreneurship and collaboration, both of which are hallmarks of a Johns Hopkins education. We are grateful for the foundation's support, as it enables five of our top graduate students to join a community of exceptionally talented future leaders." Mert Ankarali of Ankara, Turkey, is a fourth-year PhD student in the Department of Mechanical Engineering, working with faculty adviser Noah Cowan. His research seeks to discover the rules by which the human nervous system controls rhythmic dynamic behaviors. Ankarali focuses on the control-systems modeling of human locomotion, an understanding of which is essential for improving the quality of life of individuals suffering from motor deficits. His long-term goal is to provide a foundation on which to build locomotion rehabilitation techniques, design neural prosthetic interfaces, and develop engineered systems for human-computer interaction. Iraj Hosseini, who previously earned degrees at universities in Iran and Canada, is now completing his doctoral studies at Johns Hopkins in the Department of Biomedical Engineering and the Institute for Computational Medicine. Under the supervision of faculty adviser Feilim Mac Gabhann, Hosseini developed molecular-detailed multiscale computational models of HIV infection to better understand HIV pathogenesis and to design stem cell-based anti-HIV therapies. Beyond his academic achievements, Hosseini co-founded BME EDGE, obtaining a PhD Innovation Initiative Award funded by the Provost's Office to reinvigorate PhD education and prepare students for alternative career opportunities. Carmen Kut, who spent her early years in Hong Kong and now lives in Baltimore, is an MD/PhD student in biomedical engineering whose research focuses on real-time intraoperative identification of brain cancer using optical coherence tomography. For her research, she received a prestigious NIH F30 fellowship. As a Whiting School undergraduate, she finished first in her class, and USA Today named her to the 2008 All-USA All-Stars Academic First Team. Kut is founder and president of Medical and Educational Perspectives, a 10-year-old nonprofit that evaluates and develops low-cost medical devices in developing nations. Her faculty advisers are Elliot McVeigh, Xingde Li, and Alfredo Quinones-Hinojosa. Joel Sunshine of Pikesville, Md., also is enrolled in the MD/PhD program. Under the supervision of Jordan Green, an associate professor of biomedical engineering, Sunshine studies degradable cationic polymers for nucleic acid delivery and activation of the immune system for tumor immunotherapy by non-spherical artificial-antigen presenting cells. Sunshine, with Johns Hopkins colleagues, is listed on four provisional patents covering biomedical technology he helped develop. Three of these patents have been licensed to a Maryland company. 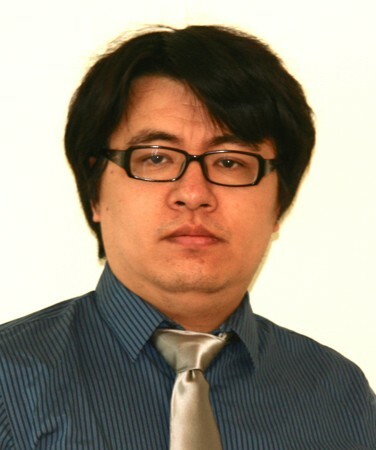 Tuo Zhao is a fourth-year PhD student in the Whiting School's Department of Computer Science who works with faculty advisers Han Liu (now at Princeton University) and Raman Arora. He is also affiliated with the Department of Operations Research and Financial Engineering at Princeton University. His research focuses on large-scale nonparametric learning and its applications to high throughput genomics and neuroimaging. Tuo is also an innovator in adaptive clinical trial studies and gene expression network analysis. In 2012, he co-authored a Nature paper on the exonic de novo mutations in autism spectrum disorders. "Congratulations to the Siebel Scholars Class of 2015," said Thomas M. Siebel, chairman of the Siebel Scholars Foundation. "Representing the best and brightest from around the globe, these distinguished students join entrepreneurs, researchers, and philanthropists from past Siebel Scholars classes to form an unmatched professional and personal network—bringing together diverse insights and perspectives from business and engineering disciplines at the forefront of solutions to global challenges."